HOW DO YOU PLAY A POKER RUN? Start time: 9:00 a.m. or later at your discretion, from any of the participating airports. 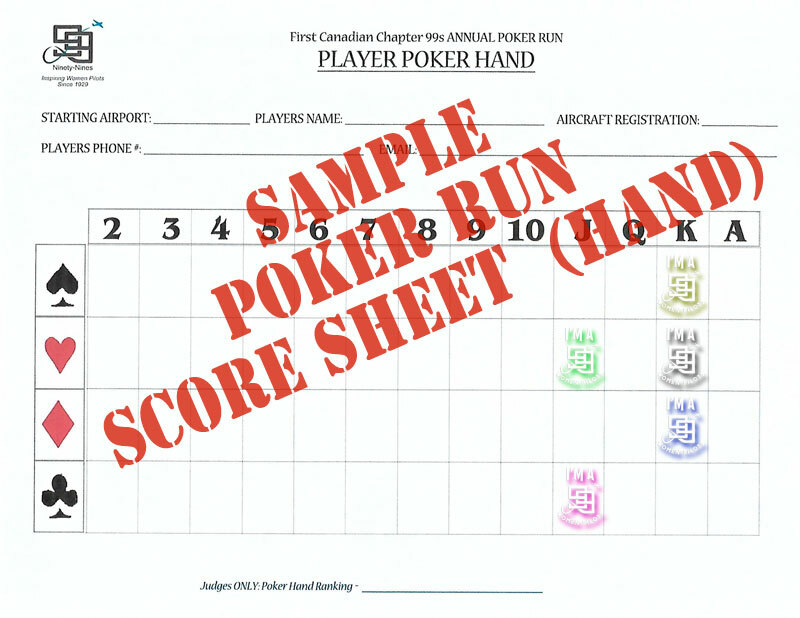 At 4 of the participating airports you will ‘draw’ a card from the deck for each of your Poker Hand Scoresheets. 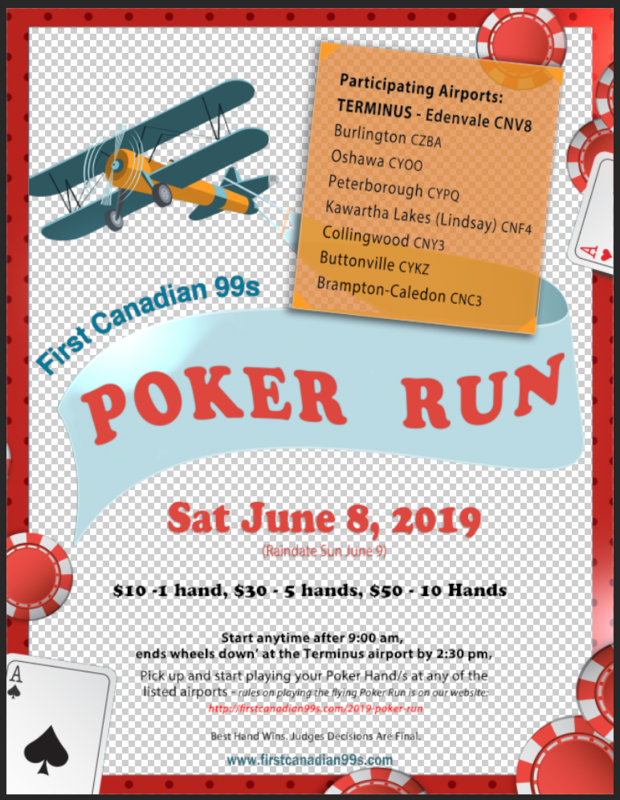 Airplanes must be ‘wheels down’ at the Terminus airport (Edenvale Aerodrome) by 2:30 p.m., where you then draw your final card and hand them to be judged. 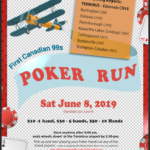 At the 99’s table there will be a volunteer/s, where you go to draw from the card deck a single playing card per Poker Score Sheet, the 99 volunteer will stamp your Poker Score Sheet. 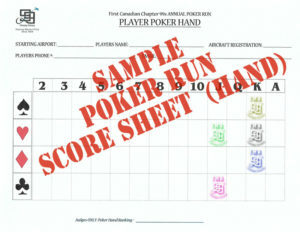 After your first Hand is stamped, then proceed to pick another card for your other Poker Score Sheet/s. Get back in your plane and fly to your choice of the next participating airports, pull your next cards for your Poker Score Sheet Hands. Pull a playing card for your Poker Score Sheet Hands at four of the listed airports and then to the terminus for the final 5th card. The game is the same as 5-card poker, no draws, no wild cards…best high hand wins. WHERE DO YOU GET YOUR PLAYER CARDS? At the first airport, you may purchase as many Poker Score Sheets as you can safely carry without upsetting your weight & balance! We have some players fly Hands for their friends – they do not have to be with you to play. Whether you play 1 or 50 Hands, it’s your choice – there is no max number of Poker Score Sheets you can play. All proceeds go towards the First Canadian Chapter 99s awards, scholarship and educational programs.